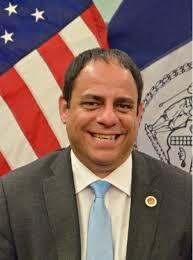 AAEA President Norris McDonald testified before the New York City Council Committee on Environmental Protection on Thursday, January 28, 2015. According to committee Chairman Costa Constantinides, it was the first time in the history of the committee that someone testified by Skype [McDonald was in California]. McDonald drafted the Environmental Justice Bill for Councilman Charles Barron in 2003 and Councilmember Charles Barron introduced the bill (Int. No. 404) in 2004 with seven cosponsors. After meeting with Councilwoman Inez Barron in 2014 to request re-introduction of the legislation and after much review and revisions by the Committee on Environmental Protection, Councilwoman Barron introduced the legislation that we are considering today. The legislation has 37 cosponsors. The New York EJ legislation is patterned after a national EJ bill I drafted that we still need to get passed in the U.S. Congress. AAEA formed the Environmental Justice Coalition to work for the passage of the national legislation. The national bill, New York bill, Maryland bill and Mt. Vernon bill are listed in the Environmental Justice Coalition blog. Int. No. 886, sponsored by Councilwoman Inez Barron, is a local law to amend the administrative code of the city of New York, in relation to identifying and addressing environmental justice issues. Int. No. 886 sets up an interagency task force to develop agency-wide plans to assure that environmental justice in incorporated into the planning and implementation of agency duties. The legislation also creates an associated environmental justice advisory board, reflecting geographic balance, comprised of pertinent committee chairs or their designees, appointments from environmental justice community boards health or environmental committees, at least seven appointees who are directors, members or employees of environmental justice organizations and at least two appointees who are directors, members or employees of organizations engaged in research related to human health. Int. No. 359, sponsored by Environmental Protection Committee Chairman Costa Constantinides, is a local law to amend the New York City charter and the administrative code of the city of New York, in relation to requiring a study of potential environmental justice communities in New York City and the publication of the results of such study on the city’s website. Int. No. 359 calls for a study of potential Environmental Justice communities in New York City, an identification of pollution sources, recommendations to mitigate adverse environmental impacts and a publication of the results of the study on the City’s website. Providing a citizen lawsuit provision to allow potential victims of environmental race discrimination to enforce the EJA and the regulations promulgated thereunder. Providing a citizen endorsement provision to allow potential beneficiaries of nonpolluting economic development to enforce the EJA and the regulations promulgated thereunder. Establishing the criteria for determining potential violations and endorsements based on comparative community health statistics, comparative community pollution sources and comparative community economic development. Addressing: acts of discrimination and investigating all community complaints and recommendations related to development projects, whether filed before or after issuance of construction and operating permits. Empowering citizens, and DEP at the request of citizens, to obtain injunctions to prevent construction and operation of discriminatory polluting facilities and operations that violate the EJA regulations. Empowering citizens, and DEP at the request of citizens, to endorse the construction and operation of nondiscriminatory nonpolluting facilities and operations that do not violate EJA regulations. Providing a definitive permitting process regarding demographics for citizens, developers, government agencies and investors. Directing the DEP to develop EJA regulations. Int. No. 359 should include types and amounts of pollution at the sources called for by the bill. AAEA produced pollution studies for Washington, DC that included types and amounts of pollution at each facility listed as an emitter. It will be very helpful to affected citizens to have this sort of information at their disposal. Environmental and community groups from five states that sued the U.S. Environmental Protection Agency in July over the agency’s failure to take action on civil rights complaints are calling for the agency to significantly strengthen a rule it proposed last month to revise the way the agency handles civil rights complaints. On Dec. 14, the federal register published the proposed rule that was intended to improve the way the EPA’s Office of Civil Rights responds to civil rights complaints it receives. The proposed revision, however, actually weakens existing protections by removing deadlines for the agency to respond and investigate complaints, according to the groups that filed suit. Under the current rule, the EPA has five days to acknowledge receipt of a civil rights compliant, 20 days to decide whether the complaint merits an investigation and 180 days to make a preliminary finding of discrimination. However, the EPA’s proposed update would remove statutory deadlines, no longer requiring the agency to take action within any specific period of time. The EPA, under the proposal, would no longer have to accept all valid complaints but would have discretion to decide which complaints to pursue. 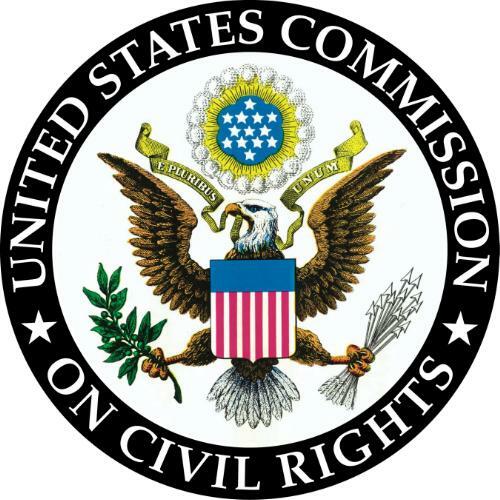 The proposed rulemaking comes on the heels of an investigation by the Center for Public Integrity in August that found that the Office of Civil Rights has failed to investigate and act on claims filed under Title VI of the Civil Rights Act of 1964, which allows federal agencies to withhold funds from local and state governments that discriminate on the basis of race or national origin. 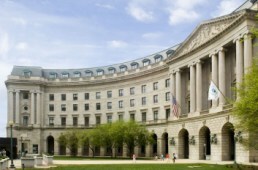 The investigation, which culminated in a seven-part news series,"Environmental Justice Denied", determined that the EPA dismissed 90 percent of claims it received alleging environmental discrimination and that it never issued a finding of environmental discrimination in its 22-year history of investigating civil rights complaints despite repeated national studies showing that communities of color face a disproportionate burden of environmental pollution. In July, Earthjustice on behalf of groups around the country sued the EPA for allowing five separate civil rights complaints to stall for more than a decade. The complaints involve discrimination by the states in granting permits that subject already overburdened low-income communities of color to more big-polluting facilities. The EPA, launched a 60-day comment period on the rule, which began Dec. 14, and is holding five public hearings in January in Chicago, Ill.; Houston, Texas; Oakland, Calif.; Research Triangle Park, N.C. and Washington, D.C. to receive comments about the rule. Earthjustice is a non-profit public interest law organization dedicated to protecting the magnificent places, natural resources, and wildlife of this earth, and to defending the right of all people to a healthy environment. 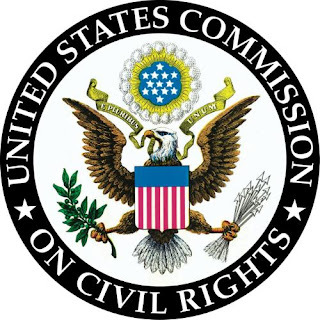 WHAT: The U.S. Commission on Civil Rights is holding a hearing on Friday, Jan. 22., to examine EPA’s track record of protecting civil rights with regard to the placement of coal ash disposal facilities near minority and low income communities. Coal ash is the toxic waste that remains after coal is burned in power plants. EPA has found that communities of color and low-income communities suffer greater risk from coal ash pollution than the general population. Among those testifying are Lois Gibbs, who spearhead the response to Love Canal, a suspect disease-causing industrial and chemical dumpsite, buried beneath homes, in Niagara Falls, N.Y. Gibbs’ work led to the designation of the first superfund site with federal funds designated for environmental cleanup. Earthjustice Attorney Lisa Evans, who has led the national effort to regulate coal will testify along with Earthjustice attorney Marianne Engleman Lado, who filed a civil rights complaint against the EPA in 2013 for failing to protect the civil rights of residents of Uniontown, Alabama, a nearly all-black community that received 4 million yards of toxic coal ash from the largest coal ash spill in Kingston, Tenn in 2008. Kingston, Tenn., is a predominantly white community. Ester Calhoun, a resident of Uniontown Alabama, and president of Black Belt Citizens for Health & Justice, will testify at 9 am. Lisa Evans and Marianne Engleman Lado are scheduled to testify at 2:30 pm. I read Martin Luther King, III's Christmas present article to National Black Chamber of Commerce (NBCC) President Harry Alford and I have to disagree with his assessment. 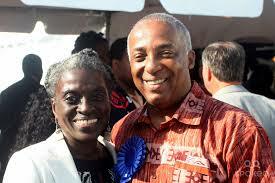 I have known Mr. Alford for a couple of decades and I know his primary interest is in promoting Black business. Period. And to the extent he does that, I totally support him. Now we do not agree on everything, but we are on the same page when it comes to promoting Black business opportunities. Mr. Alford opposes ANYTHING that he considers to be a deterrent to Black business development. I understand his mission completely. AAEA is an environmental group that seeks to resolve environmental problems through the application of practical solutions. We are also the only environmental group working to increase African American ownership of energy infrastructure and resources, including the fossil fuels industries. AAEA and NBCC are on the same page when it comes to Black ownership of energy resources and infrastructure. With over three decades of Inside The Beltway experience, I also understand politics. And Mr. King's article was strictly political. You have to pick a side and support it 110% or you are useless. Mr. King has picked a side. Mr. Alford has picked another side. Let's look at the sides. The EPA global warming agenda is symbolic at best. It will do nothing to slow global warming. Just ask China and India. It is political symbolism just like the recent United Nations climate change agreement among almost 200 countries. These are the HOV lanes of climate change. EPA acted because the Congress would not. As with most other clean air regulations, these will flounder around in the litigation pool and alternative regs will be drafted at some future date. The Clean Power Plan will not mitigate global warming. But our Energy Defense Reservations (EDR) Program would. We are working to get the NBCC, the Obama administration and the energy sector to accept this approach as our front line offense for mitigating global warming [We would also welcome Mr. King's support]. It is a technology-driven program that will actually reduce global warming and create real jobs. As far as the NBCC being funded by the energy sector: GOOD FOR THEM. We would also love to be funded by the energy sector. Make checks payable to AAEA. We want more than luncheon and conference funding though. We want partnerships that promote Black ownership of energy infrastructure and resources. The energy sector does not like it so much when we bring this up. But they should understand that they could benefit from such partnerships [See our LNG work]. So-called 'clean energy jobs' WILL NEVER compete with the traditional energy sources. If anybody tries to tell you different, THEY are the ones misleading you. Moreover, Blacks own virtually none of the fossil fuels industry. How can Blacks oppose using fossil fuels when we have never owned the mechanisms or materials or resources in this sector? This is why President Obama's true energy agenda includes ALL OF THE ABOVE energy sources. His Clean Power Plan is largely political to appease the environmental movement and the liberal left. Our electric power grid can reliably get baseload power from two sources: 1) nuclear power and 2) coal. Natural gas is such a premium fuel that I hate to see it used to produce baseload electricity. The super economies of China and India understand this. Anyone who says renewables can reliably produce baseload power is misleading you. Hydraulic fracturing has removed any energy vulnerability for our national security. That is why Congress recently repealed the ban on the U.S. exporting petroleum. America is in the process of exporting liquefied natural gas (LNG) too. President Obama's Clean Power Plan cannot reduce utility bills. Botched deregulation in the 1990's and the reconciliation of that debacle will double electricity bills no matter what. So Mr. King's shot across Mr. Alford's bow was political and useless. Instead of blacks attacking each other for marginal political gain, we should be working together to aggressively get Black ownership of energy sector resources and infrastructure. Today, we were disgusted to learn that one of MMC’s former employees used racial slurs and made racially charged comments during a peaceful protest in Mars, Pennsylvania, outside of work hours at a location with which we have no affiliation. We are sorry that this incident occurred. Whether at work or not, we do not condone hate speech - EVER. Inclusion and diversity are among MMC’s core values. We believe in equality for everyone, regardless of race, age, gender identity, ethnicity, religion or sexual orientation. MMC has terminated this employee and will never do business with him again in the future. Jefferson is currently working on a documentary entitled "The Way We Live," which is focused on social justice and climate change. The protest that upset Pisone stemmed from an ongoing battle over six proposed drilling wells on Rex Energy's Geyer well pad, a permitted site located approximately six miles from the Mars School District campus, which serves 3,200 students. We applaud MMC Land Management. In April 2015, Louisiana Governor Bobby Jindal appointed New Orleans businessman Arnold B. Baker to the Board of Commissioners of the Port of New Orleans. Baker will serve a five-year term, succeeding Daniel F. Packer, one of four Orleans Parish representatives on the seven-member regional Board that governs Port operations in Orleans, Jefferson and St. Bernard parishes. Baker is owner and founder of New Orleans-based Baker Ready Mix and Building Materials, which operates three plants in the area, a fleet of mixer trucks and employs 40 local drivers, technicians and industry professionals. Prior to founding Baker Ready Mix in 2003, Baker served as president of Centergy Development Group - a consultancy created to implement redevelopment strategies for distressed commercial real estate - from 1999 until 2003. He also served as Assistant to Mayor Marc Morial of New Orleans' Policy, Planning and Development and Director of Small & Emerging Business Development from 1996 until 1999. Before his public sector commitment, Baker regularly received industry awards working for Simon Development Group and General Growth Properties, two of the world's largest shopping mall developers. 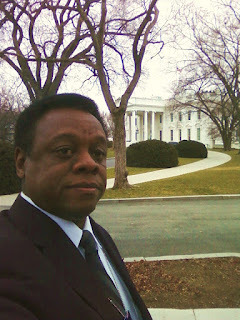 Baker currently serves on the boards of the New Orleans Board of Trade, New Orleans Chamber of Commerce, Southern Black Chamber of Commerce, Greater New Orleans Sports Foundation, Kate Middleton Elementary School, New Orleans Start Up Fund, the National Black Chamber of Commerce, Dillard University School of Business, and the Bayou District Foundation. He has served on many boards and commissions including GNO Inc. , the New Orleans Bureau of Governmental Research and the New Orleans Business Council, as well as being Vice Chairman of the New Orleans Business Council and CoFounder of the several Black Chambers throughout the state of Louisiana. He is a former chairman of the National Black Chamber of Commerce. Baker grew up in a military family moving frequently between the United State and Europe, primarily attending military schools on military bases. Attending Texas State University on a football scholarship and achieving All American status as a junior, he graduated with degrees in marketing and business administration. Baker also earned a certified marketing director certification from the International Council of Shopping Center Management Institute at Michigan State University; a Marketing Director 1 certification from the University of Miami and a WOC Advance Concrete Certification. He chose New Orleans as his "hometown," where he has resided since 1992. He is married to Tracee Dundas, the producer of "New Orleans Fashion Week" and co host of "Fashion Fridays on Fox". The Port of New Orleans is a deep-draft multipurpose port at the center of the world's busiest port system - Louisiana's Lower Mississippi River. Connected to major inland markets and Canada via 14,500 miles of waterways, six class-1 railroads and the interstate highway system, the Port is the ideal gateway for steel, project cargo, containers, coffee, natural rubber, chemicals, forest products, manufactured goods and cruising.